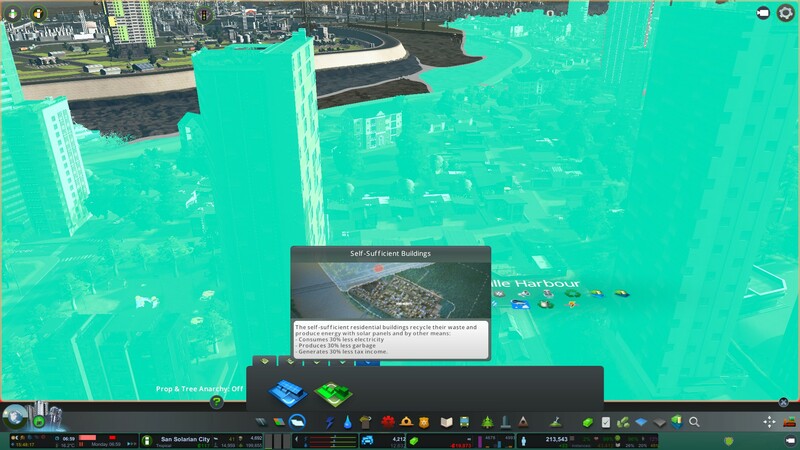 Cities Skylines (the urban simulator from Paradox – Colossal Order) has from time to time provided some lessons real life cities could learn from. 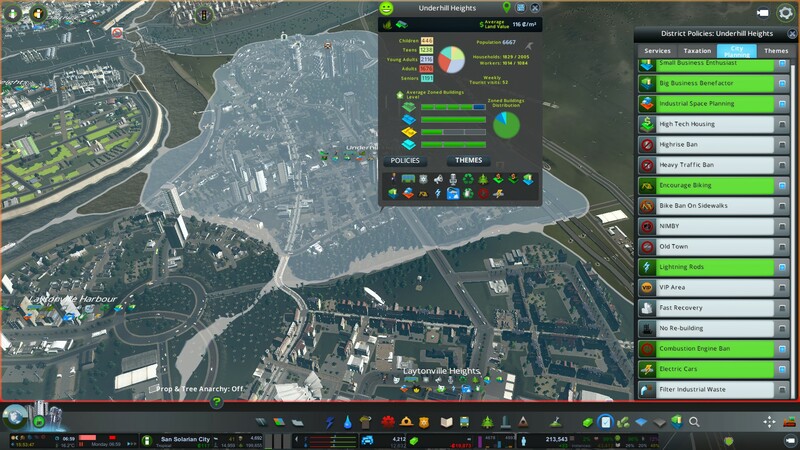 Before I go into it if you think Cities Skylines is simplistic I ask you try it out first, the amount of complaints in the forums of the game being “too hard” does show perhaps not everyone is a Geographer or City Planner, game or real life. 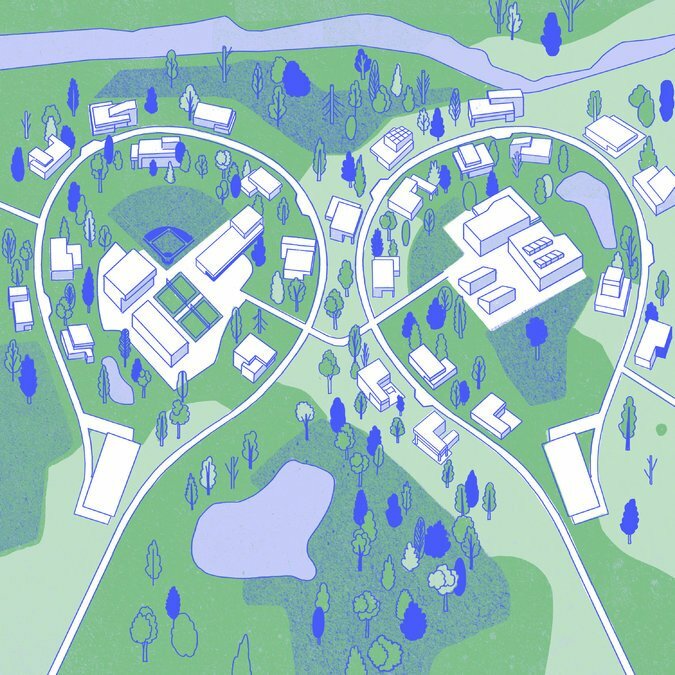 The premise is that grids are good and cu-de-sacs are bad still ring true in Urban Geography and Planning circles. HOWEVER, when it comes to utility in this case Green utility the conventional grid pattern might come at a disadvantage. 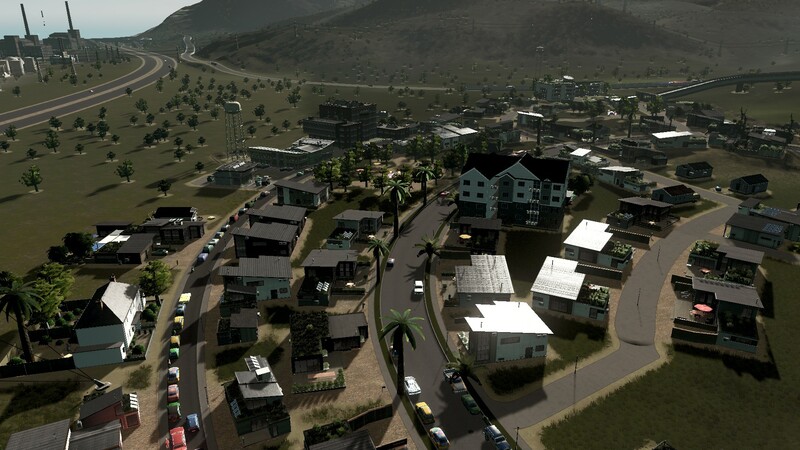 Underhill Heights. 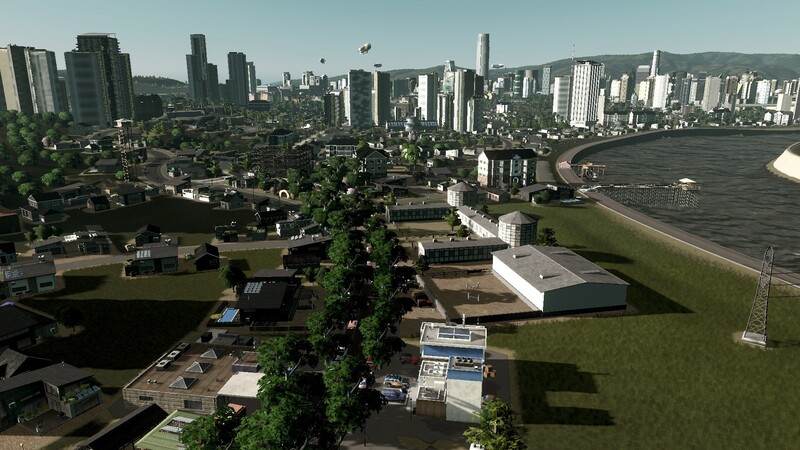 The high density development in the background is Laytonville City Centre. 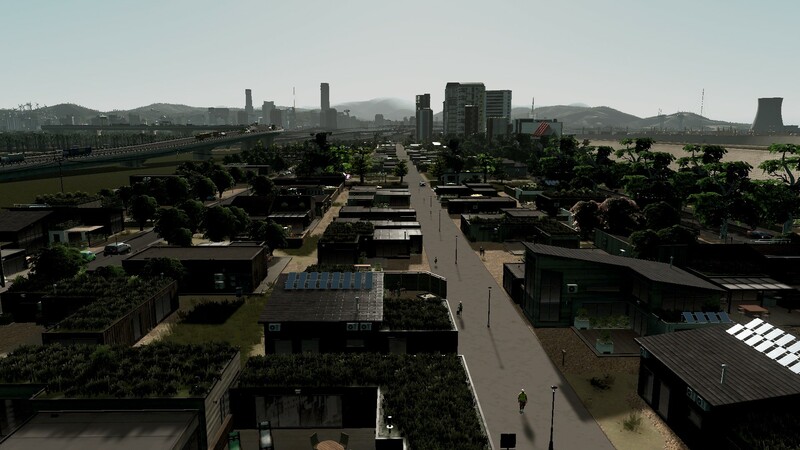 San Solaria runs two City Centres and two smaller nodes all connected by RTN that help slow down the need for constant Greenfield Urban Sprawl. The same applies to Auckland’s nodes! Solarian Bend is quite grid like and to be honest EWWWWW in urban design despite the most efficient urban development layout. The other is more circular and thus we get gaps and holes in the middle. 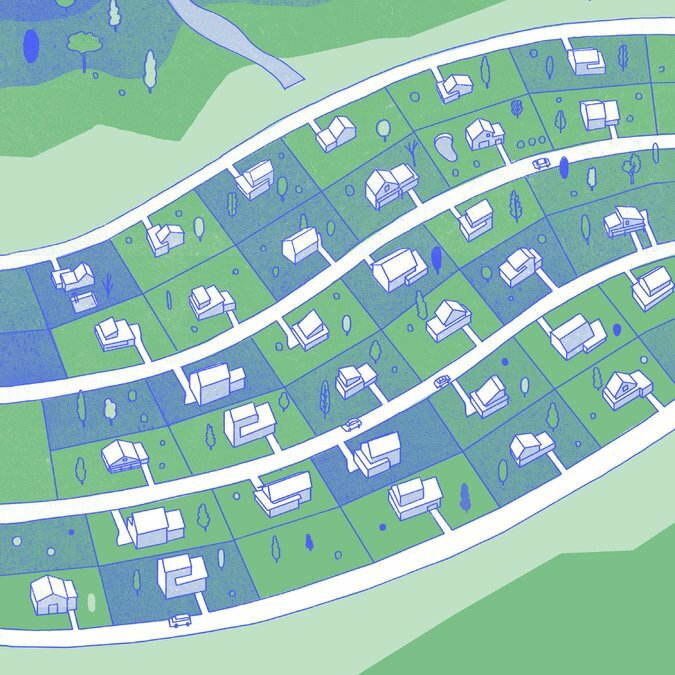 Thinking back to NYT piece the circular streets in Underhill Heights and holes in the middle from those big but connected community parks without costing the City a pretty penny in the Parks budget. Mr Grid aka Solarian Bend does not have this and is reliant on formal parks. This means its going to cost me – aka the City Budget coin. 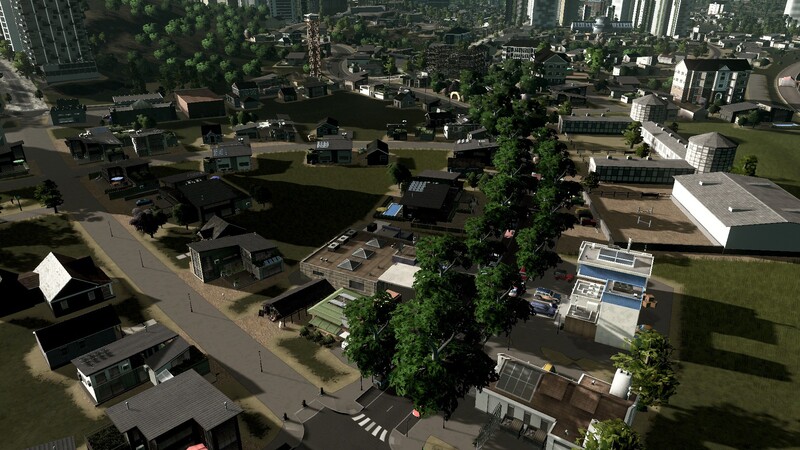 The holes in the middle while grass with some trees for now are big enough for that tiny laneway road and a community building like pools, gyms or dog parks that came with the Green Cities DLC. In the end it comes down to utility and max bang for City buck. 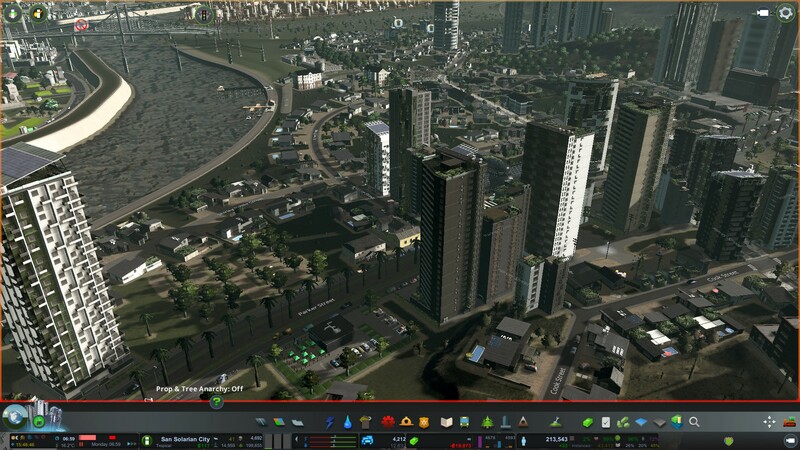 Mr Grid gives me the most urban development bang for buck but by god for recreational utility and urban design it is FUGLY. 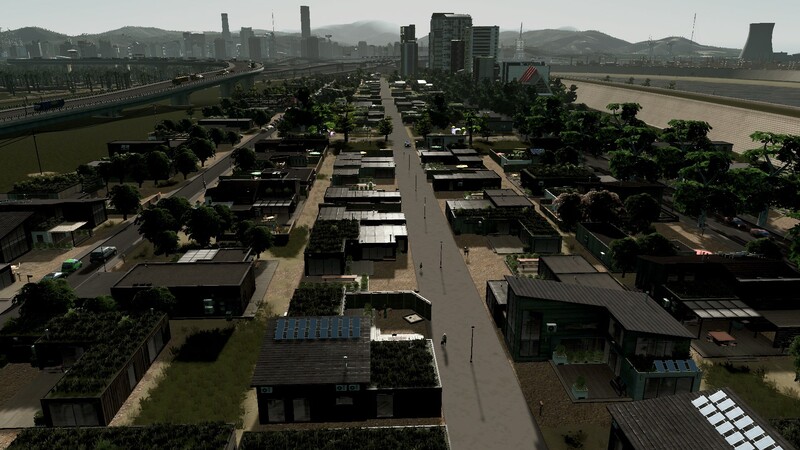 The circular streets while not efficient per se urban development wise do offer maximum recreational and environmental utility at less monetary cost to the City (except the bloody pesky forest fires the game likes springing on me). Conclusion? 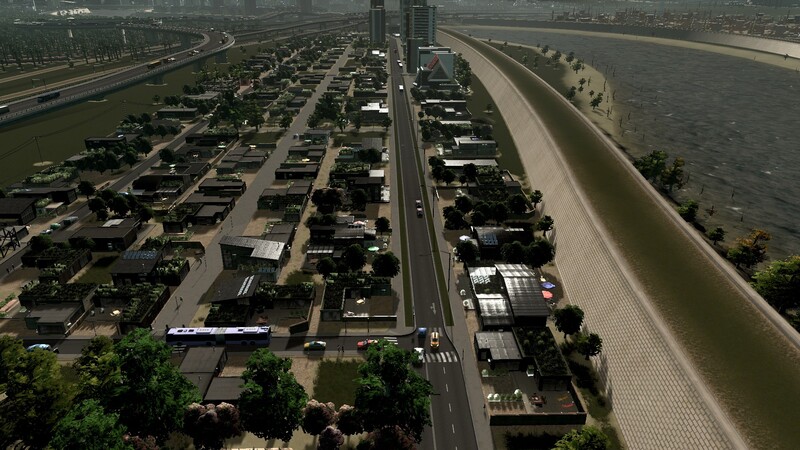 A healthier green city (I compensate the urban form with high density developments near transit stations). 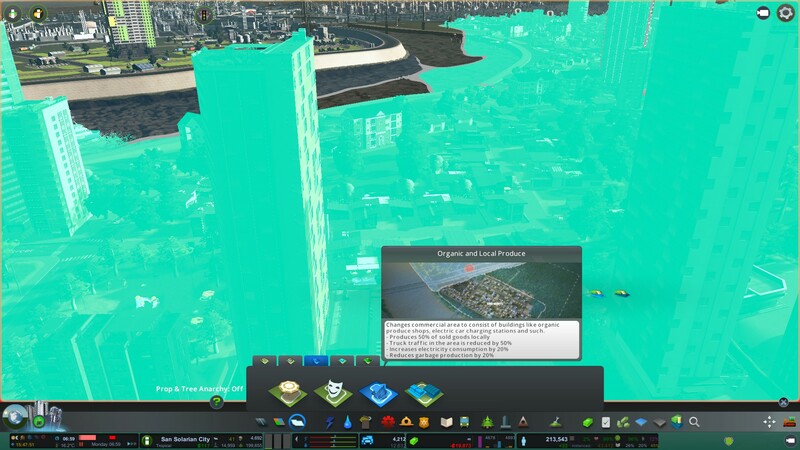 So then can a simple change in urban form and some game play from Cities Skylines offer alternatives to get best Green utility bang for buck while not sinking the often depleted City Budget?